Whether you're looking at buying your first Utah home or trading up to a larger one, there are many costs - on top of the purchase price - that you must figure into your calculation of affordability. These extra fees, such as taxes and other additional costs, could surprise you with an unwanted financial nightmare on closing day if you're not informed and prepared. Beware extra costs buying a home in Utah County. Appraisal fees can cost between $350 to $400 and are required by the lender if you are getting a loan. If you are paying cash for a home you will not need to get an appraisal. If a lender is asking you to pay more than $400 for an appraisal in Utah County that would not be considered a normal fee. It is possible that the appraisal fee could be more than $400 if the appraisal is on a huge mansion. 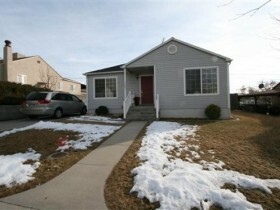 Property taxes are an inevitable cost of Buying a Home in Utah County. You can usually pay them in installments. Property tax in Utah County is typically between half of one percent to one percent of the homes value. Make sure your lender is quoting you a price that includes the property tax. Property taxes are due each year on the 30th of November here in Utah County. Survey fees are usually optional when buying a home in Utah County. Less than one percent of Utah home buyer's request a survey on a property. The cost of a survey can vary depending on the size of your lot. A typical survey on a home in Utah County will cost between $300-$500. Property insurance covers the replacement value of the structure of your Utah County home and its contents. This is often referred to as fire insurance. This is paid yearly and typically out of your escrow. You pay into your escrow every month and the lender pays your property insurance and property taxes when they are due. Many buyer's don't realize it is their choice to choose an insurance company prior to closing not the lenders. Title fees cover the cost of title insurance, funding fee, doc prep, overnight Fed/Ex fees, recording, etc. These fees are charged once at closing and are not reoccurring. Familiarize yourself with the closing cost fees prior to signing. Your lender will be paid for helping you get the loan. This is typically paid in points (1 point = 1% of the loan value) or paid from the spread on the interest rate they give you. Some lenders will make money on both the interest rate and points. These fees can vary greatly depending on your lender. Like anything else do your homework and remember to ask for a "Good Faith Estimate." Please ask Team Teasdale Realty for reputable lenders in the Utah County area. The term PITI stands for Principal, Interest, Tax and Insurance. In relation to a mortgage, PITI is the sum of monthly principal, interest, taxes, and insurance. That is, PITI is the sum of the monthly loan service (principal and interest) plus the monthly property tax payment, homeowners insurance premium, and, when applicable, mortgage insurance premium and homeowners association fee. For mortgagers whose property tax payments and homeowners insurance premiums are escrowed as part of their monthly housing payment, PITI therefore is the monthly "bottom line" of what they call their "mortgage payment"
If your home is located in a HOA you will have to pay a monthly, quarterly or yearly fee. A homeowner association is a corporation formed by a real estate developer for the purpose of sharing expenses. For example, you buy a condo in Provo and pay a $100 monthly HOA fee. This fee covers, grounds maintenance, snow removal, cable, water, sewer and garbage for the entire condominium complex. You are required to pay the HOA fee every month. If you don't pay your HOA fee, the homeowner's association can and will put a lien on your property. We are seeing some HOA fees climb over $150 in Utah County. Around ten years ago a $100 HOA fee in Utah County was a major milestone. It won't be long before we see our first HOA fee hit $200 in Utah County. This is one of the downsides of belonging to a homeowners association. The fees can and do change from time to time and they very rarely go down. Remember, Buying a Home or Condo in Utah County is a major decision; and whether it's your first, second or tenth, there are many small but important details, not to mention stress and excitement, to deal with during the process. The last thing you need is unbudgeted financial obligations in the hours before you take possession of your new home.